The secret to the success of a delicious rissotto lies in its broth, its italian short-grained rice and in stirring. 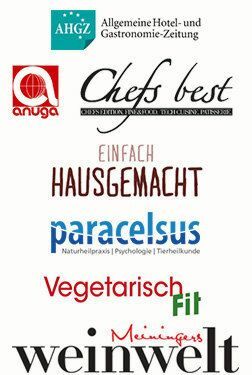 It is certainly no wonder why various rissotto dishes became the most famous dishes in Italiam cuisine. 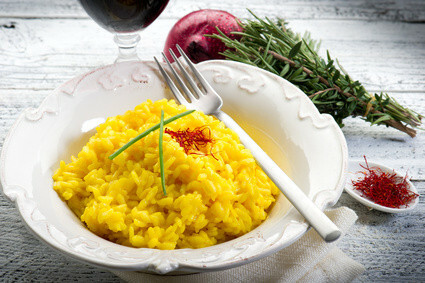 The 'risotto ala Milanese' is a saffron rice dish Milanese-style that revolves around a couple of legends. Former wealthy connoisseurs decorated their saffron rice with a gold leaf. The prevailance of saffron in rice dishes has never been a question of price. It is the wonderful saffron flavor that had made this dish a winner. First , cut the onion into small cubes and heat the veal stock. Add water into the mixture. Place half of the butter into a separate large pot and fry the onions until translucent. Place the rice directly onto the pot and stir continuously on high heat. Then pour in the wine. Once the liquid has evaporated, reduce the temperature to low heat. Place the heated veal stock into the large pot with the rice. Continuously stir the rice and add the saffron into the rissotto until it dissolves. Stirring the rissotto makes it creamy. Also, make sure that the rice is al dente and quite firm. This procedure takes about 20 minutes. Finally, stir in the remaining butter and the parmesan cheese into the rice dish.